Maitreya Education Project plans in time, to provide, to the extent possible, free education, especially for the under privileged of the area. 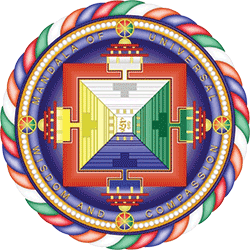 The unique Maitreya Universal Education School curriculum emphasizes ethical development in conjunction with academic achievement, and will initially cover primary, secondary and vocational education. Providing, to the extent possible, free education from kindergarten to senior secondary level for children regardless of religion, caste, gender or social status. Promoting the qualities of kindness and compassion, ethical behavior, a sense of universal responsibility as well as an understanding of their interdependence with other beings and the environment. Inspiring children with the qualities of leadership and the motivation to bring peace, happiness and well-being to their communities. The Maitreya Education Project promotes “the good heart”, meaning the qualities of kindness and compassion, and a sense of respect and ethical responsibility towards all beings. The academic program is aligned with the Indian national curriculum. Standard subjects include: Hindi, English, Sanskrit, Urdu, Mathematics, Science (Physics, Chemistry and Biology), Social Studies (History, Geography and Civics), and Yoga & Creative Arts (Art, Craft, Music, Dance and Drama). To help children gain an understanding of their relationship with the world, the curriculum promotes an understanding of the nature of the mind and concepts such as cause and effect, impermanence and interdependence. These are introduced in classes through age related activities, discussion, and debate. Senior students will be encouraged to participate in social work programs such as conducting environmental projects in villages, working at local health clinics, and assisting at major healthcare projects. The practice of meditation and yoga provides a foundation for mental and physical development. In particular, meditation helps develop a peaceful state of mind, good concentration, and critical awareness. Good qualities and ethical values will be promoted through the study of stories and biographies and the use of drama and role play. Special emphasis is given to important historical figures such as Mahatma Gandhi, St Francis, Mother Teresa, Sri Ramakrishna and Shakyamuni Buddha. A good education in conjunction with good, long-term employment opportunities will provide local children with the skills and attitudes they require to bring lasting benefit to their communities. Emphasis will be given to maintaining the local traditions that are crucial to the children’s sense of cultural identity. These include art, craft, music & dance, and indigenous approaches to health management, agriculture and forestry. The purpose is to encourage children to gain a deeper understanding of the nature of their minds and emotions and their power to shape the way we live and relate to others. This understanding creates a foundation for developing the qualities of loving-kindness, compassion and a sense of universal responsibility. The developmental nature of these activities helps children cultivate a world view that leads intuitively to understanding, a sense of responsibility for their local communities as well as the world, kindness and compassion in adult life.